Hardcover, Linen with jacket, 240 pages, 13.5 x 21.5 cm, 5.3 x 8.5 in. 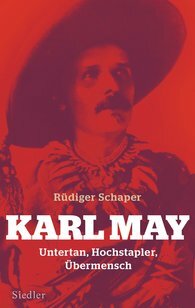 Karl May (1842-1912) is one of the most popular German writers. His books have sold over 200 million volumes worldwide, and generations of young readers devoured his novels about the Wild West. Rüdiger Schaper has ventured to take a completely new look at the life and influence of this extremely productive author, who was at home in all possible literary genres, from adventure novel to uplifting literature, and created characters that even today still captivate us.